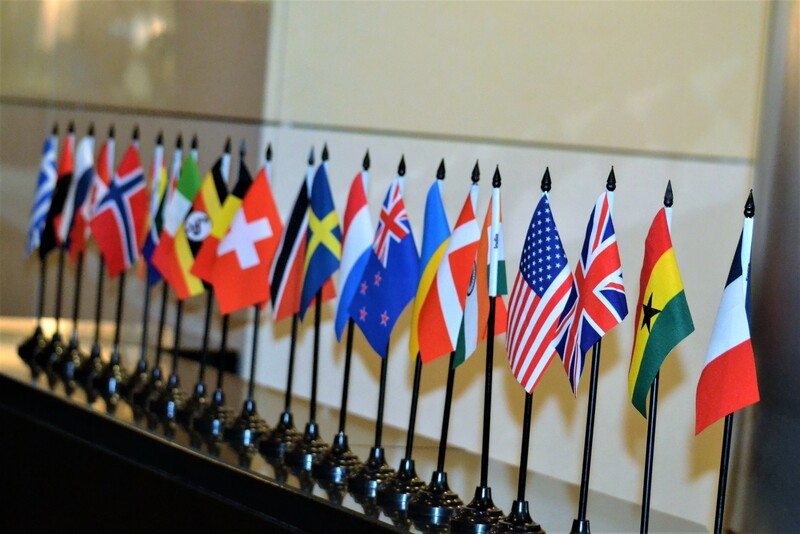 41 delegates from 22 countries were present at the WASummit, hosted by IMA in Frankfurt, Germany in October 2018. The four new topics were advised to all countries who were asked to research them within their own countries. The aim was that the delegates attended the summit truly representing the views of their countries. Delegates had, in effect, to wear four hats; their own views, the views of their association, the views of their country, and to reach views that were useful to the international administrative profession. As we said in our last article all delegates were well prepared. They had consulted through a variety of methods – face-to-face, surveys and phone calls to canvass the views of administrative professionals in their own country. As we noted this led to energy, commitment and enthusiasm in the discussions of these new topics. This article is on the Outcomes reached and what these will mean to you, the administrative professional. The full outcome report is on our website www.worldadministratorssummit.com. The new topics were gathered through an international survey seeking those of most importance to administrative professionals. 1. Workplace Harassment – How do we manage this? develop a policy statement on workplace harassment from the WASummit. create a code of conduct (by the end of 2019) to be shared with Associations, to include identifying workplace harassment and management of this. encourage Associations to collaborate with charities that deal with this issue and provide links to them on Association websites. create campaigns around workplace harassment and recommend each Association find or develop training courses so that it is country specific (by 2020). develop a checklist for individual administrative/office professionals to complete; demonstrating what is inappropriate behaviour. encourage Associations to share best practice for their country. Each Association’s website should show useful information available within their country including links to assist e.g. charities, support networks, Government legislation, international trade union agreements. look at creating images of inappropriate behaviour so that Assistants know what is appropriate and what isn’t and include contact links for support for each country. have a repository of stories of harassment, including examples, to be held on the WASummit website from administrative/office professionals and how the behaviour was dealt with. These stories to be in English and anonymous. to revisit Goal 2 in Administra and, in consultation with the Advisory Council Chairman, clarify. The Task Force to lead this work includes Susan Engelbrecht, Lead (South Africa), Angela Parker (Germany), Alison McKessar (New Zealand), Ingrid Dumon (Belgium). 2. Identity and Image of our Profession – How can we enhance these? develop a white paper for administrative professionals to provides a global guideline for enhancing the identity and image of administrative professionals by the end of 2019. The WASummit Advisory Council will promote this paper as a basis for education and training for new and/or existing administrative/office professionals and as a tool to seek dialogue in the working environment. The Task Force to undertake this work includes Eleni Rizikianou (Greece), Karin Helene (Sweden), Vania Alessi (Italy). create a unifying framework for administrative/office professionals and HR departments such that, irrespective of country, it is possible to identify levels of work – i.e. performance expectations, salary ranges and career pathways – for a given job/role profile. initially contact the Position Titles and Credentialing teams to develop and agree a timeline for this work to be completed. The Task Force includes Andrew Jardine (United Kingdom), Cathy Harris (South Africa), Wendy Rapana (New Zealand), and Florence Katano (Uganda), with Veronica Cochran (United States of America) supporting. This topic led to wide discussion and a recognition of the changes that are coming. There was wide acknowledgment that as a profession we need to embrace and keep up with these changes, become the lead within our organisations and ensure we have well developed our skills, which modern technology cannot provide, these largely come within the “soft skills” platform. These outcomes are quite well reflected in our World Action Plan Administra, however there were some points that needed noting and/or updating. all represented Associations and Delegates, where needed, are to be GDPR compliant and that this is reflected in the wording of Administra. it is noted that Administrative/Office Professionals will lead the way (seek to be change agents) in the awareness and use of current and emerging technologies, such as AI, cyber security and the benefits and values that they add to the administrative role. Administra requires re-wording under ‘work/life balance Goal 3, Objective 3.4’ to reflect that we are now always connected as current realities. the Chairman (Eth Lloyd, New Zealand) and Corina Wenzel (Germany) will work together; initially providing a timeline for completion to the Advisory Council and ensuring the outcomes noted above from the discussions are incorporated into Administra. All four topics were accepted. These new discussion points, developed from our international survey in 2017, provided some very intense and focussed discussions. These topics have led to outcomes that will be of benefit to you individually. The full benefits will come out over the next few months and the new task forces will use these outcomes and the three previous research reports to inform their work. You will be able to check a skill sets matrix to see what level of administrative professional your position title and skills fit within. If you have a qualification you will be able to see where that sits as well. No one country or body can order a change in titles, position descriptions or career pathways internationally, but we can give you valid and useful information about where you fit. You will be able to find information about what constitutes workplace harassment and what is available in your country to support you, if this is an issue for you. You will be able to find templates to assist you to build your own personal portfolio, to better showcase your skills and knowledge, to ensure you have tools to assist you with self-assessment and professional development. If you are needing to build a case for advancement or better recognition of what you do there is research material already available and the above skills set matrix and templates will help you build that case more effectively. Administra has goals that relate to you as an individual administrative professional and you can use or adapt those to assist you with goals in your own performance appraisal. As the outcomes mentioned above are worked through and completed, we will keep you updated through social media and our website. Our next article will focus on the discussions and decisions undertaken in the business plenary session on the final day of the 10th WASummit in Frankfurt.